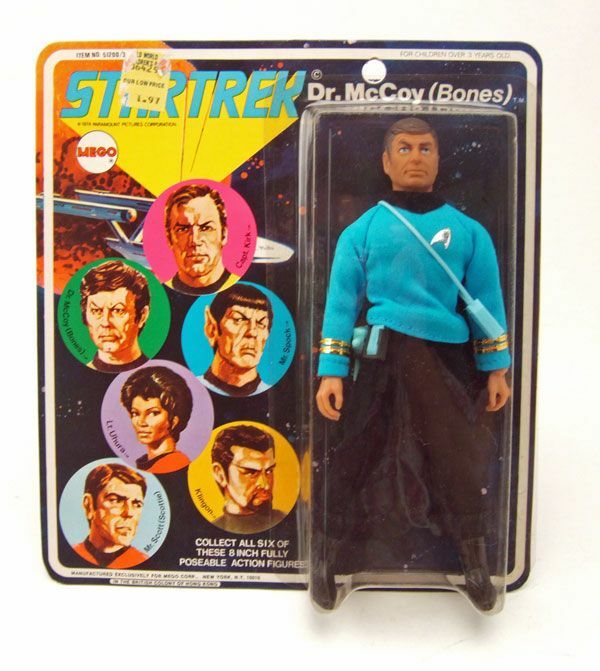 McCoy was released carded as part of Mego's first assortment of 8" Star Trek figures. The Rundown: McCoy is perhaps my favorite of the Mego crew figures. The figure really is excellent even by today's standards. The head sculpt, in my opinion, is the best of the crew. There's no doubting that's McCoy! There's even a bit of the irascible doctor's character coming through in the sculpt: check out that raised eyebrow! Just a great job that still holds up. 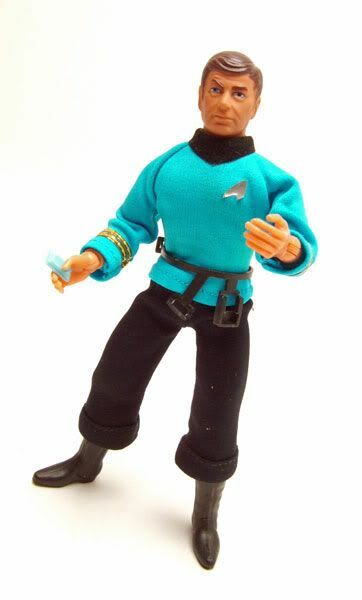 There's a bunch of coloring variations on the head- if you want more info on those, head on over to megomuseum.com and hit their Trek section for a good comparison. The body is your standard Mego 8", so your getting plenty of articulation on realistically proportioned body. The outfit is of very nice quality, with the only minor quibble being the stickered delta shield. I wish the symbol had been painted on, but it was a different time so I can let it go. 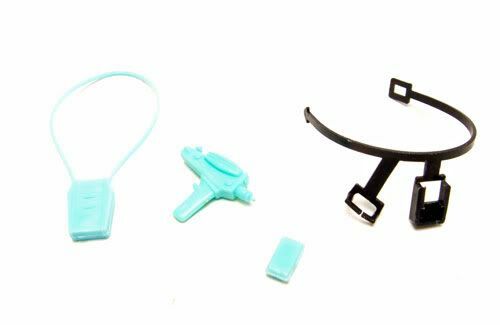 Accessories: McCoy includes the basic accessories of the rest of the male crew (a belt, a blue phaser, and a blue communicator) with one additional piece: a blue Tricorder! It's a neat little well-sculpted piece, but the strap is easily broken and great care should be taken when placing it on the figure. Labels: Dr. McCoy, Mego, Mego 8"
As a kid, I collected the Mego "Worlds Greatest Superheroes" line ( I had gotten into the Adam West Batman series in syndication ), and was thrilled with those. 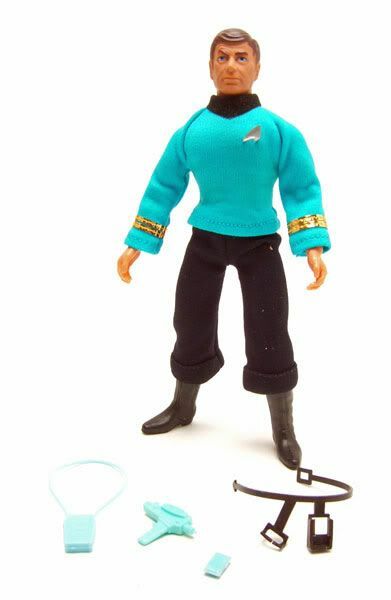 I had started wishing that Mego would do a Star Trek line ... I would almost say I predicted it; I even drew a 'Spock' figure packaged in the window box package that the earliest Mego hero figures came in. You can imagine I was over the moon when my prediction came true. 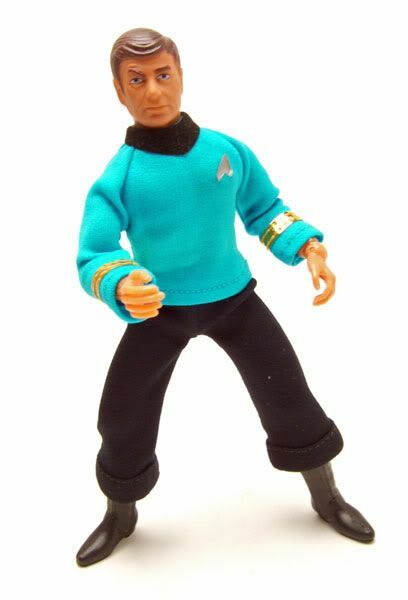 Although when it came to the McCoy figure, I was a little disappointed. 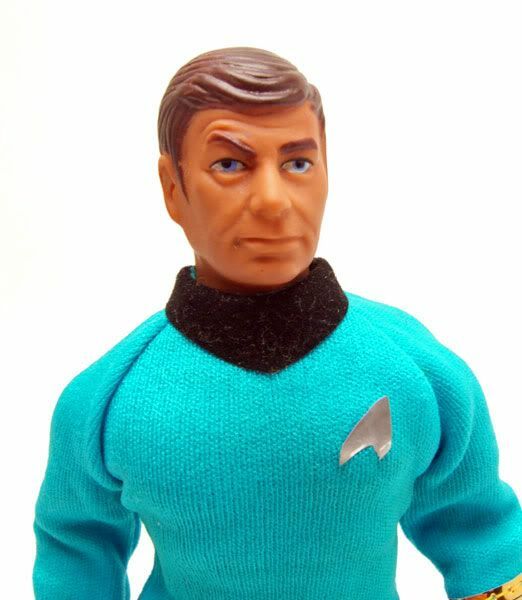 As you pointed out, the head sculpt is a pretty good representation of Deforest Kelly, but it actually looked more like a dead ringer for Howard Cosell ( look it up, kids )! 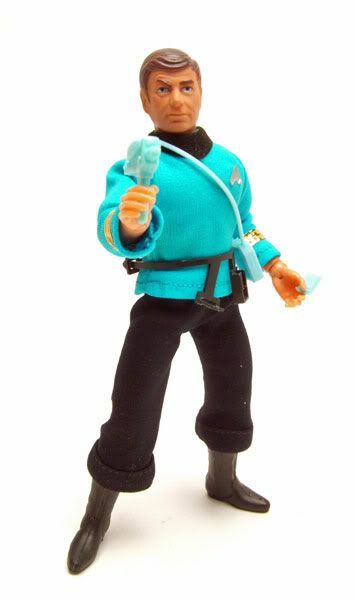 I always wanted to dress one of these McCoy figures in a three piece suit and tie, and give him a mini-microphone. I'll bet he would've looked dead-on.